In October 1962, the discovery that Soviet mid-range missiles were being secretly installed in Cuba sent President Kennedy into a strategic panic. 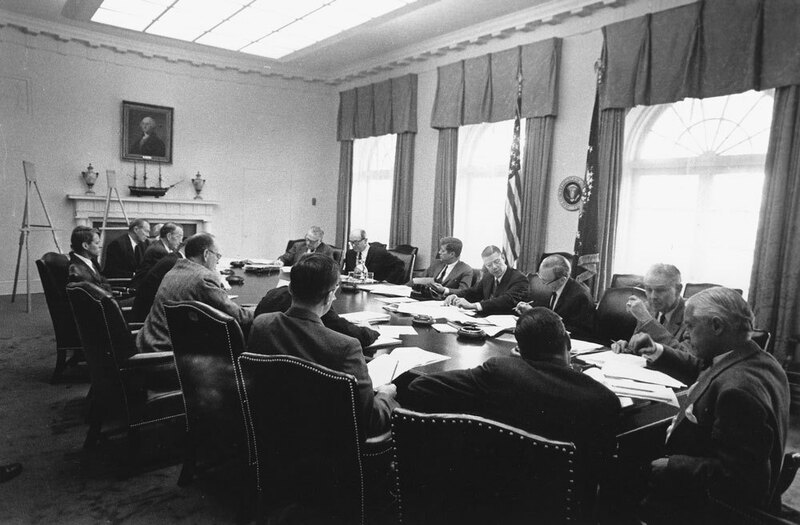 With Fidel Castro and a slew of unfortunate military miscalculations complicating an already nail-bitingly cumbersome negotiation process between the White House and President Khrushchev at the Kremlin, the world was teetering on the brink of a nuclear holocaust. Filmmakers John Murray and Emer Reynolds plot a riveting narrative by weaving together never-before-released recordings of President Kennedy’s tense advisory sessions, personal recollections with Khrushchev’s son, and interviews featuring the statesmen and soldiers who stood “eyeball to eyeball” with the end of the world.